an earthquake with a magnitude of 8.0 has struck sparking a tsunami alert for surrounding islands in the South Pacific region. The Pacific Tsunami Warning Center warned that hazardous tsunami waves up to one metre above tide level were 'possible' along the coasts of neighbouring islands. 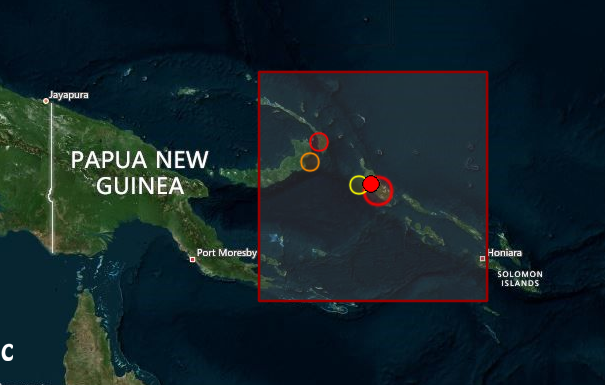 Papua New Guinea and the Solomon Islands were listed as threatened coastal areas. Australia, Samoa, New Zealand, Indonesia, Tonga, New Caledonia and a number of other surrounding islands are all on tsunami alert for waves less than 0.3 metres. The earthquake struck roughly 167 kilometres deep, near Bougaineville Island - which is located in between Papua New Guinea and mainland Solomon Islands. The Bureau of Meteorology confirmed there was no tsunami threat for Australia. NZ Civil Defence confirmed New Zealand was not at threat of a tsunami either. The Solomon Islands are on the 'Ring of Fire' - a horseshoe-shaped area in the basin of the Pacific Ocean where roughly 90 per cent of the world's earthquakes occur. We have been expecting in Papua New Guinea Region and yesterday we have flagged it. Our coordinates for this event were PNG PNG (5.5S, 144.3E) (10.4S, 149.5E). We also felt Solomon Islands were due and we posted the coordinates Solomon Islands (10S, 161E) in the post. 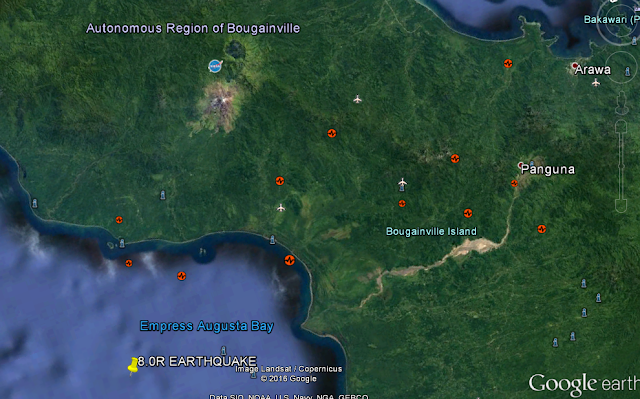 NOTE the earthquake was in the MIDDLE. 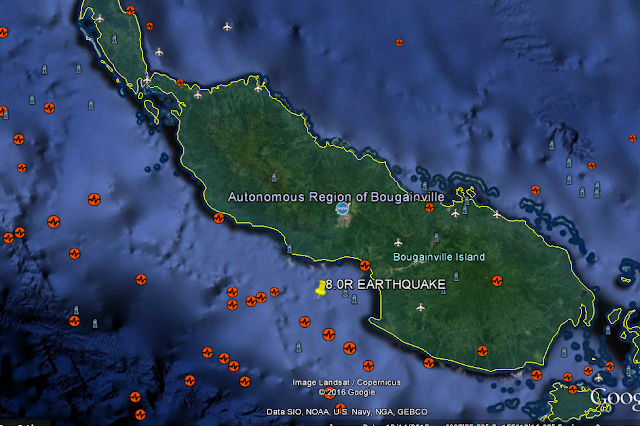 The earthquake is between PNG and SOLOMON ISLANDS exactly. Finally the global calendar which shows and flags events >6.5R is also showing a peak for tomorrow.